Wildfires are getting larger, burning hotter and becoming increasingly unpredictable, devastating plant and animal species. Now, researchers are studying how these blazes affect the tiniest of forest organisms—including bacteria and fungi—and finding that some microbes thrive after an intense wildfire. “Fires typically don’t destroy a microbial community—they change its composition,” says Jessica Miesel, an ecosystem ecologist at Michigan State University in East Lansing. Some bacteria and fungi have a symbiotic relationship with plants, and this often dictates which nutrients will be available to vegetation in an area. If fires destroy certain microbial communities, then the plants that rely on them might not be able to re-establish themselves in that ecosystem. 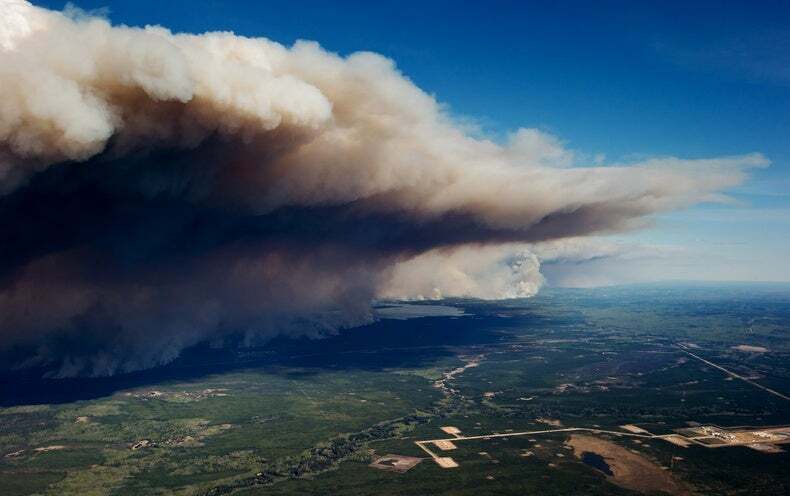 Researchers investigated wildfire impacts on bacterial and fungal communities in boreal forests of two Canadian provinces. The team collected soil samples from 62 sites about a year after 50 of them had been damaged by fire in 2014. They found that several bacterial species in the Massilia and Arthrobacter genera, and some fungi in the Penicillium and Fusicladium genera, were more abundant after a wildfire than before—especially at sites that burnt with greater intensity. “We’re beginning to parse out the ecological drivers of response to fire,” says study co-author Thea Whitman, a soil ecologist at the University of Wisconsin–Madison. Microbes help to maintain ecosystem health by decomposing organic matter and readying nutrients for plants to absorb. Some types of bacterium break down nitrogen and carbon, and some fungal species live on the root ends of plants, helping their hosts soak up nutrients and water from surrounding soils. Whitman suspects that a bacterium’s or fungus’s ability to reproduce rapidly, exploit available nutrients and survive high temperatures contributes to its success after a wildfire. Some microbes are better adapted to break down organic matter that has been chemically altered by fire, and others might take advantage of newly opened ecological niches. One way microbes might use fire to colonize new territory is by hitching a ride on small particles of ash or dust in plumes of smoke. In a study published last November, Leda Kobziar, a fire ecologist at the University of Idaho in Moscow, and her team collected smoke samples from three prescribed burns in Florida, and from tests on vegetation collected from an Idaho forest and burnt in the laboratory. The researchers found that the microbes present in the smoke differed from those lingering in ambient air. Microbes are definitely getting caught up and transported in wildfire smoke, says Kobziar. In some cases, she suspects, nutrient-fixing bacteria caught in plumes might help to spur plant growth in faraway regions. But this mode of travel can be detrimental if the spores of plant pathogens—such as the fungus-like organism (Phytophthora ramorum) responsible for sudden oak death—are caught up in a blaze and transported to areas with healthy trees. Firefighters and other emergency personnel could also inhale potentially hazardous microbes and allergens, Kobziar says. Microbes are often neglected in conversations about the impacts of wildfire. But these minuscule organisms define the landscape around them after fire sweeps through. “There’s a whole host of changes in the soil environment that will favour or disfavour different groups of microbes,” says Miesel. When entire ecosystems are reduced to ash, microbes determine the first step on the road to recovery.